One week from today! Thrive Sask Gull Lake Planning and Visioning workshop from 8:30am-4:30pm! If you are interested in being part of this action group- please contact Lindsay Alliban (306) 741=3775 or Blake Campbell (306)672-7499 ASAP! 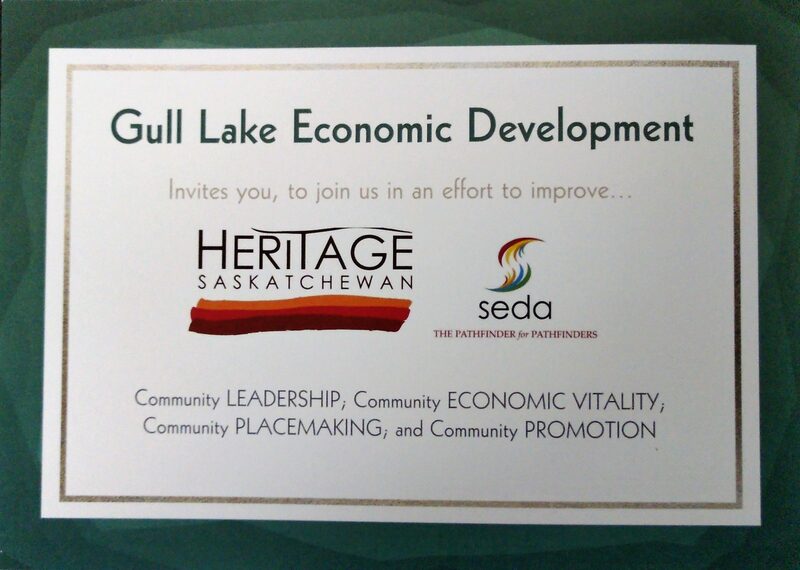 Saskatchewan and SEDA(Saskatchewan Economic Development Association). We will capture the essence of the community or group – past, present and most importantly – where it aims to bed in the future.Establishing a minimum of three priorities and associated action plans to achieve the vision will be an essential component of the fast moving one day process.